I had some time to play with some new products a few night's ago. One of those products is stencils. Many years ago I used to use the metal stencils and a stipple brush to create my name image (who remembers those?). However, The Crafter's Workshop stencils are much larger (come in a variety of sizess) and are plastic. Since this is a new product for me, I wanted to get my hands on a few and spend an evening just playing! I grabbed my Distress Inks (new Summer colors), paint daubers, Glimmer Mist (Dylusions sprays would work as well), Distress Stains, a bunch of cardstock, and my blending tool. (The kids even decided to play with me...love that!) Then we got to work trying out different products to see what worked the best. The conclusion...everything works with stencils! My preference ended up being the Distress Inks because the color was rich and I could mix colors (that sample coming up next week). The sprays worked great as well, either on their own or as an accent over the Distress Inks. The stains blend a little bit but that can create a fun vintage look. I also really liked the paint daubers and can see using this type of method on altered projects. 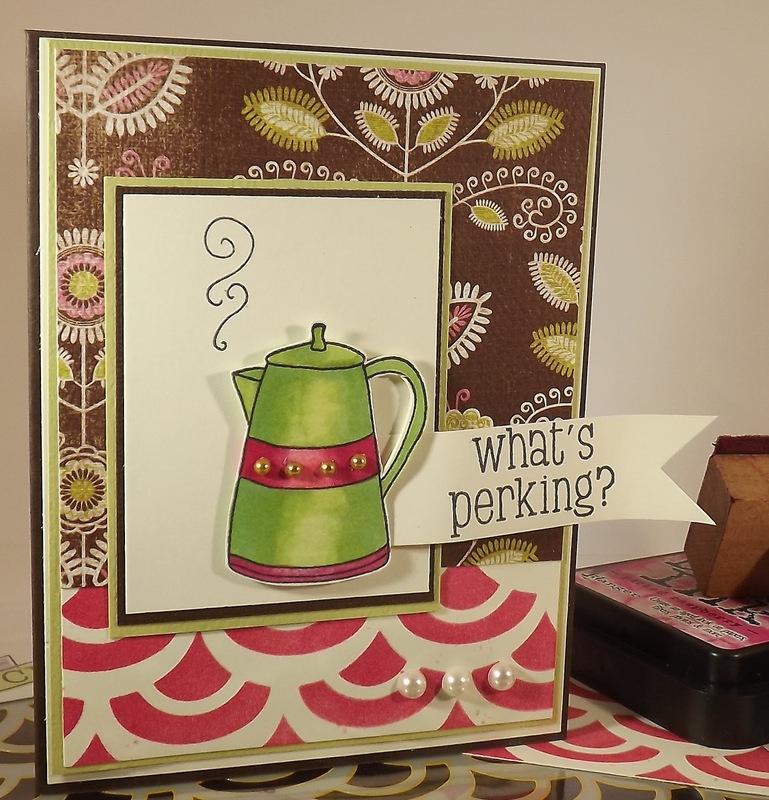 I decided to use my sample as designer paper on a card, 'cause cards are my favorite go-to craft! I paired my stenciled paper with designer paper from Authentique (ohh...perhaps a product sneak peek), and stamps from Hero Arts, from the What's Perking set. I had a great time using stencils and can see bringing them into my studio for use on a regular basis! eP has a great selection of stencils, paints, mists, and inks available...why not check out some of these great products this weekend! Yay! So happy that you have "launched." I love the new shipping policy, and the blog looks so fresh and pretty. Looking forward to knowing you better!